The GREATest BRITAIN Road Trip, my favorite destinations in England, Wales and Scotland: read part 1 about Bruges, Dover and Stonehenge here. Less than an hour’s drive from Stonehenge lies the UNESCO World Heritage Bath. This quaint university town in the west of England with its Georgian architecture and fantastic culinary opportunities truly had me at hello. You won’t find ugly apartment blocks here like you do in all German university towns, instead, the city is lined with small, honey-colored houses that seem to have jumped straight from a Jane Austen novel. 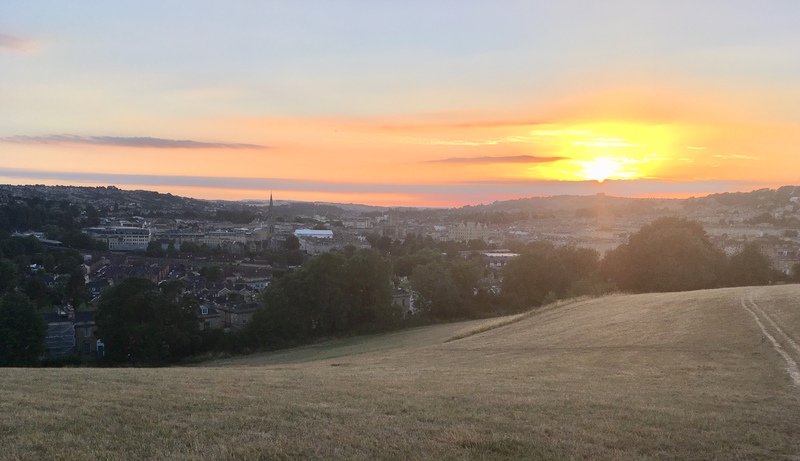 In fact, the author lived in Bath for five years between 1801 and 1806, during which time the city was a thriving spa resort and the high-class society believed it fashionable to frequent it. Turns out, I also thought myself very fashionable to be wandering around its streets. Retrace Austen’s time in the city at the Jane Austen Center and tea room. 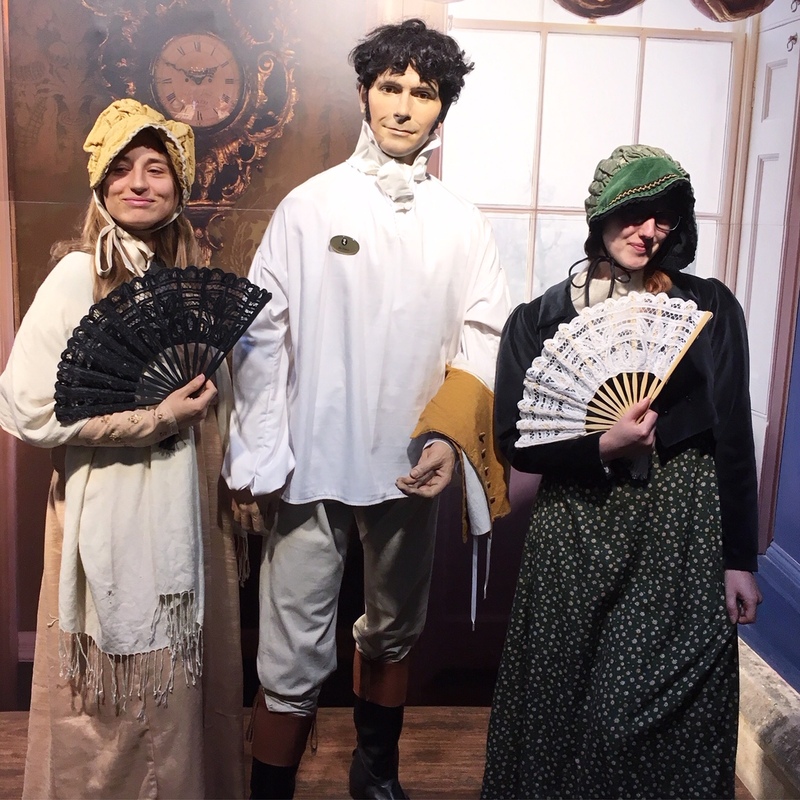 A short guided is tour followed by a self-guided walk through the exhibition and ends with a fun dress-up opportunity including Mr. Darcy! I suggest concluding your adventure with a classical cream tea (a scone and a pot of tea) in the upstairs tea room where the waiters are dressed in period clothing, the cream is clotted and a basket of bonnets awaits your head for an authentic experience. You can also have a full afternoon tea, which consists of delicious little cakes, finger sandwiches and other delicacies. I physically can’t resist an opportunity to dress up. I just can’t. 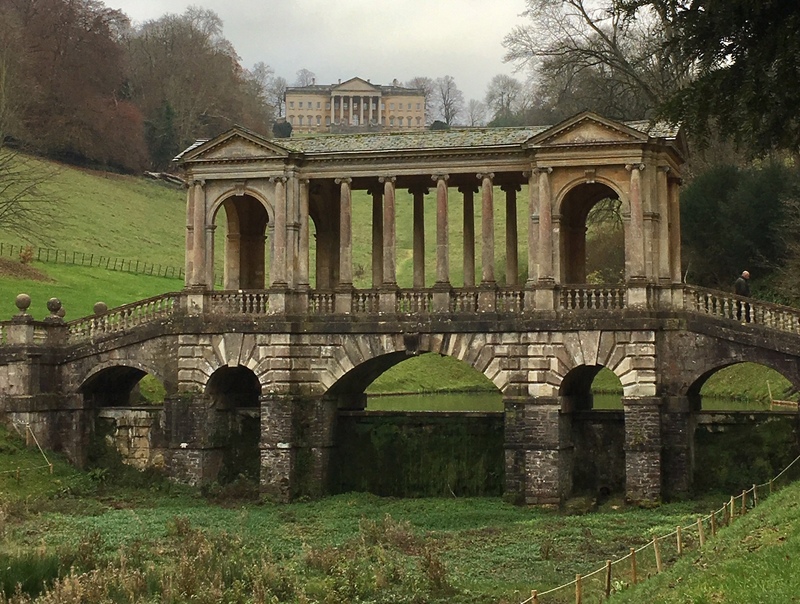 The 18th century landscape garden offers a spectacular view over the city on a clear day (it’s England though so we’re back to the not holding our breath for sunshine thing) and opportunities for scenic walks no matter the weather. 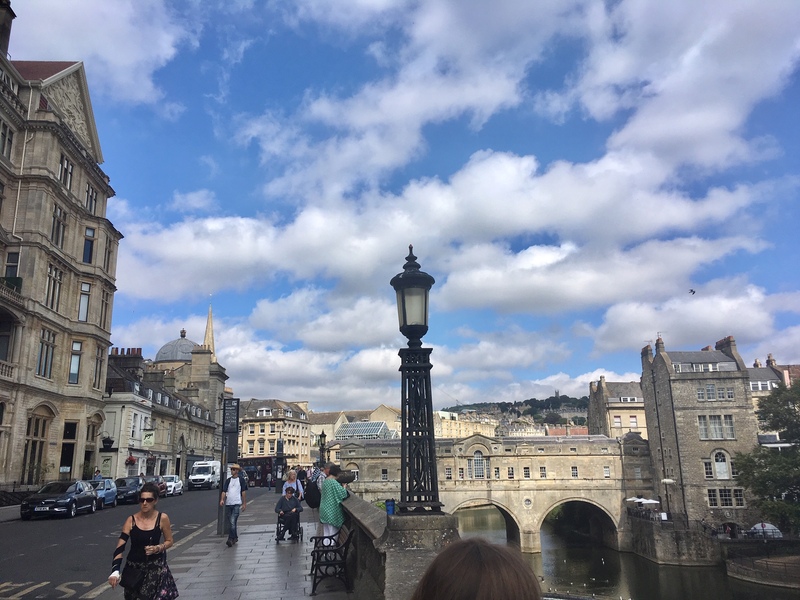 One of the walks is the famous Bath Skyline Walk, which takes you through forests, over fields with cows, past Sham Castle and back to the very bridge pictured below. The whole thing is about 6 miles but you don’t need to do it all in one day. Bonus: major Jane Austen vibes- I was sure Mr. Darcy would pop out of that mansion any moment. Sadly, he didn’t, but I shall return soon! Granted, this looks a bit sad as it was taken in December but just imagine this meadow in spring and fall! Perhaps the most famous thing to do in Bath is visit the //baths//. The well-preserved Roman Baths lie under the modern street level (because, you know, they were built like 2000 years ago, no big deal) and attract more than 1 million visitors each year. Unfortunately they cannot be bathed in but toured and admired from up close. The “thoroughly modern Thermae Bath Spa, which houses the only natural thermal hot springs in Britain you can bathe in” can, in fact, be bathed in. The open-air rooftop pool comes with a spectacular view of the Bath Abbey along with naturally warm, mineral-rich waters enhanced by air seats and bubbling jets. Prices: Regular admission costs £36 for two hours. Extra treatments such as massages cost extra. Every additional hour costs £10. The Royal Crescent is a crescent-shaped row of 30 houses built between 1767 and 1774, which is considered a great example of Georgian architecture. Aside from maintenance works, the exterior has remained pretty much the same. In December, Bath has the most beautiful Christmas Market I have ever been to. With culinary delights going far beyond the obligatory Bratwurst and Glühwein, though there is plenty of both, you will find that you won’t want to eat anywhere else for the duration of your stay because there is just so much to choose from. 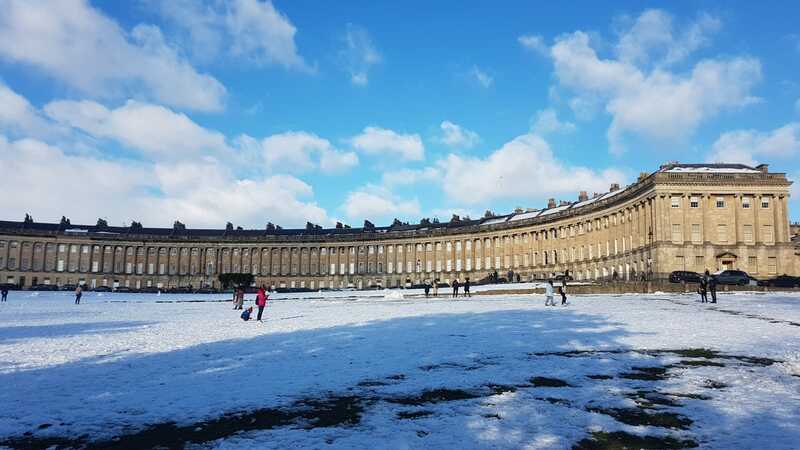 If you’re there anywhere between January and November, you will discover that Bath is a very vegan-friendly and health-oriented city with countless independent cafes and restaurants all over the city, not just the center. 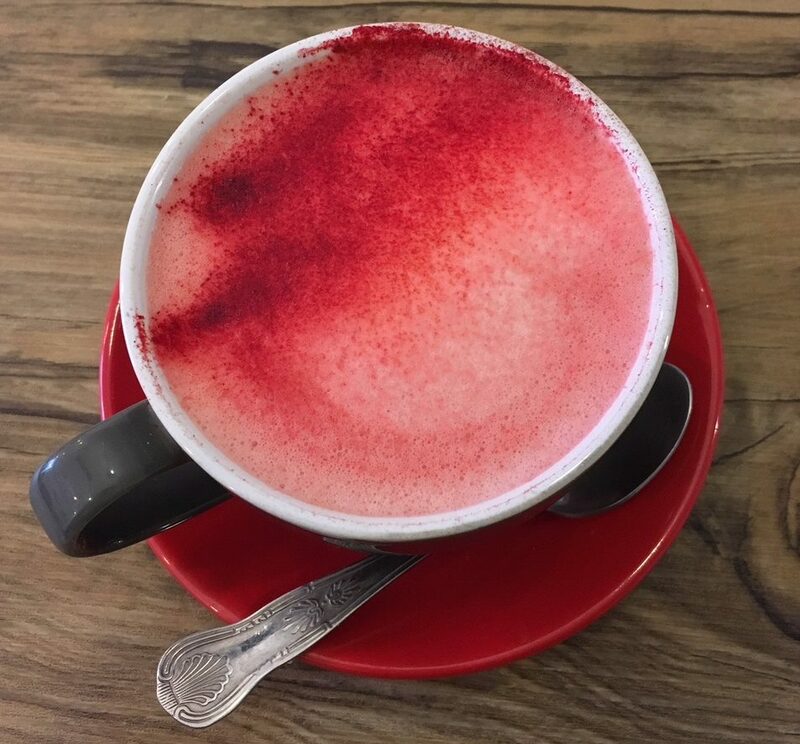 You can get curious delicacies such as beetroot lattes (pictured below) along with instagram-worthy smoothie bowls, salads, soups and so. much. more. My favorite places to eat were Beyond the Kale (can’t you just feel yourself getting healthy simply by reading that name? ), Roots and Shoots, Cascara, Lulu Caffe, and Sky Blue Cafe but a simple stroll will take you past so many restaurants and cafés with all kinds of cuisines that you barely need to plan ahead. You will not go hungry in this town. The easiest way is via booking.com or airbnb. Accommodations range from Georgian town houses, modern luxury resorts, historical farm houses far off the buzzing city center and budget-friendly hostels like YHA. The closest airport is Bristol. There are Ryanair flights from Cologne starting at €10. 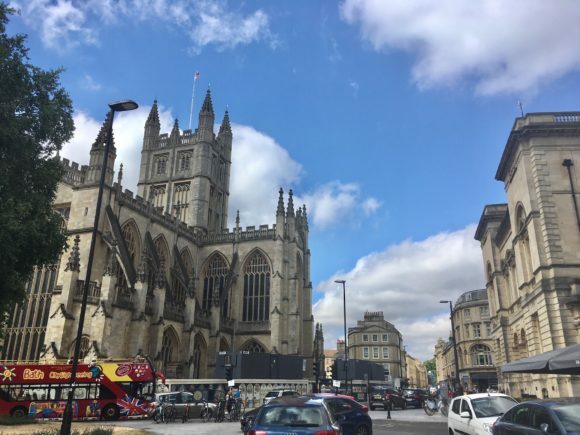 A bus costing around the same will take you straight to Bath’s city center from there. 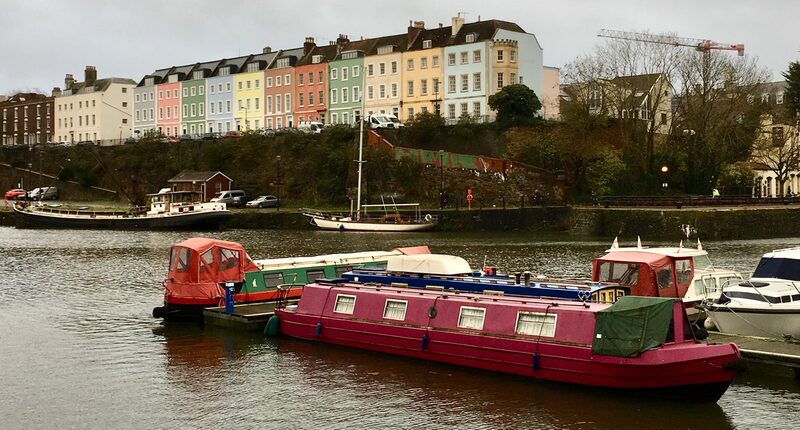 Bonus: Bristol is a charming ‘little’ town full of second hand clothing and record stores with colorful houses and a serene river. The city is only a 12-minute train ride from Bath and there’s a bus to the airport from there as well (duh?). If you have an early or a late flight, I recommend stopping by for a stroll and some shopping on your way to or back from Bath. Located in the heart of the Bavarian State, Garmisch-Partenkirchen is one of the must-see destinations whilst based in Germany.